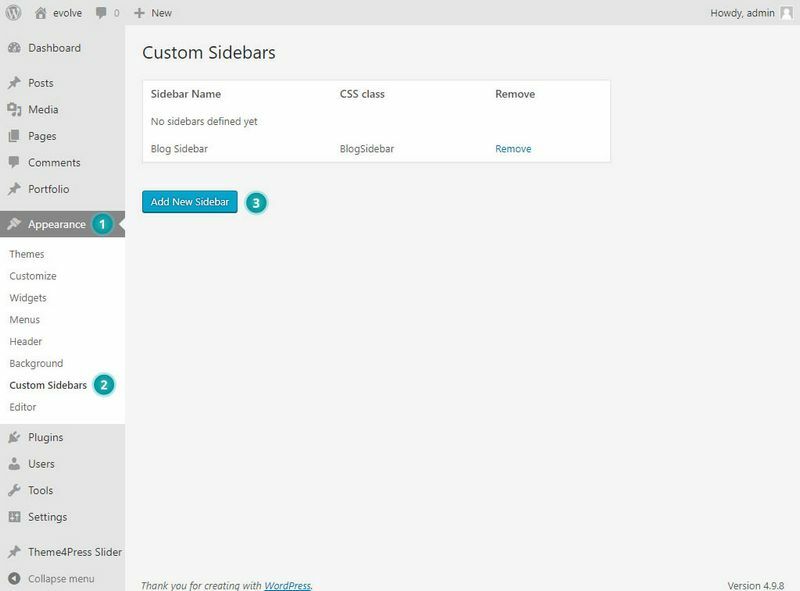 The evolve Plus theme permit users to create an unlimited number of custom sidebars. 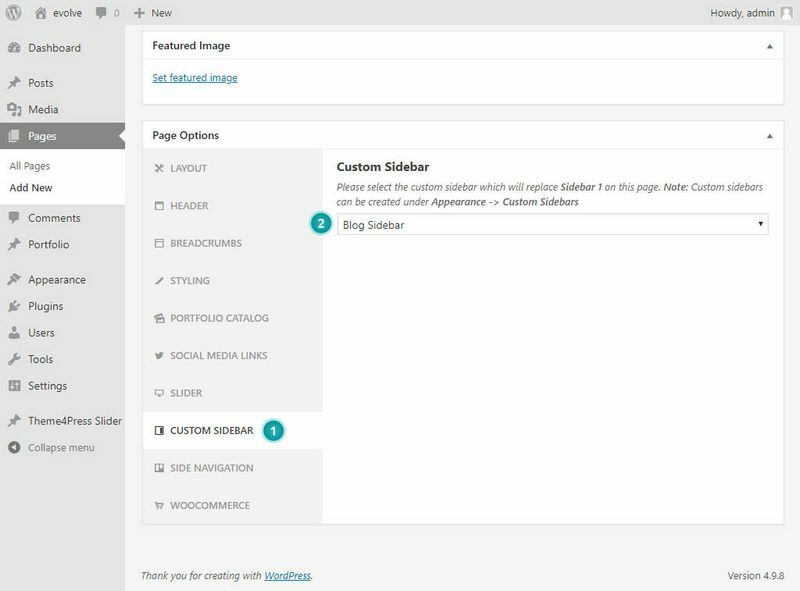 These sidebars can then be included on a post or page simply by selecting its name from the sidebar page option drop-down list. 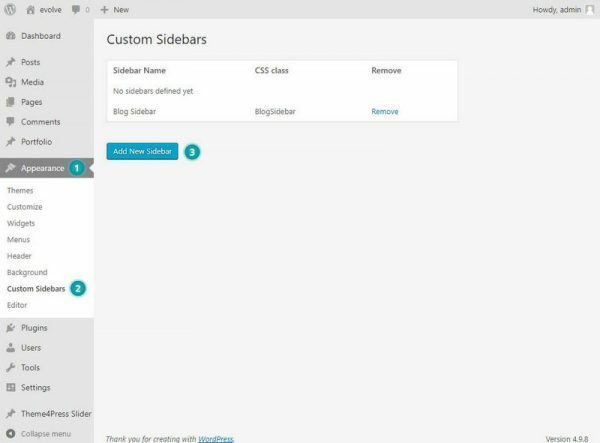 The first thing you’ll need to do is to create a new sidebar area by going to Appearance Custom Sidebars and click the Add New Sidebar button to create a new sidebar area - 3. Name it appropriately, for example Blog Sidebar. Once you’ve added a sidebar area, go to your widgets page Appearance Widgets, and you should find your new sidebar (i.e. Blog Sidebar) present on the page. You can then drag whatever widgets you like into that sidebar - 3. You can now choose to display that sidebar into any post or page instead of the default sidebar. Simply look for the Custom Sidebar section below the post editor area - 1 and select the sidebar you’ve created - 2. 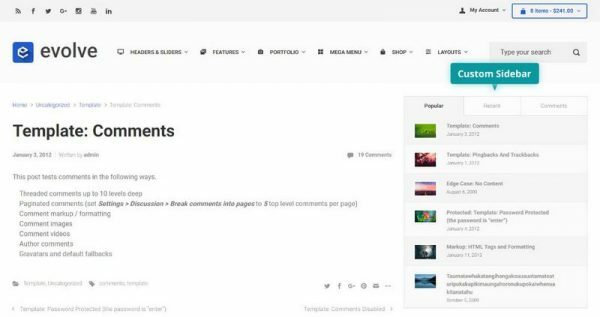 You should then see your newly created sidebar area replacing the default sidebar.